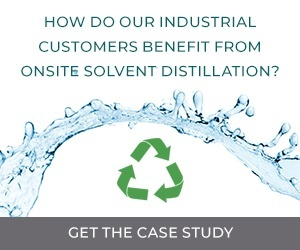 Our solvent recovery equipment and stills can help your company save up to 90% annually on solvent purchase and disposal costs for industrial applications. We help you achieve sustainability, automation and economic objectives with safe equipment for your production facility. As your waste solvent recycling partner, we can help you work toward achieving your sustainability objectives and provide solvent recovery and service solutions for everything from histology, pathology, cytology and chemistry research environments. Our solvent removal and extraction/purification/distillation equipment delivers high-purity ethanol removal, extraction, purification and distillation, plus fractional technology for the recovery of ethanol, your extract concentrate and essential oils. Many companies rely on our HAP-free solvent alternatives as substitutes for xylene, toluene, D-limonene and aromatic solvents with higher boiling points. Read more and shop our wide assortment of solvents and industrial and lab supplies.